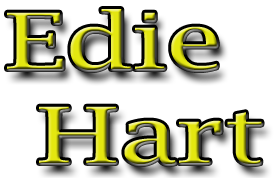 In reality the other half of Edie is a lackluster 40-something-year-old, whose main goal is to keep The Big One (The Boy) from torturing The Little One (The Girl). This week he hit her in the head with a 12-pack of Juicy Juice. Last week he left ravioli handprints on the back of her white T-shirt. The week before that he told her she was adopted and she believed him.